Disneyland – we all love it and have it on our bucket list for things to do in a lifetime. It is a heaven for thrill seekers and now Disney plans to take the users excitement level and experience to a whole new level. Disney’s recent publication U.S. 20170021282 titled ‘Sensing And Managing Vehicle Behavior Based On Occupant Awareness’, describes a system using a camera that would read a rider’s facial expressions and then alter the course of the attraction to increase or decrease speed, add spins, change display scenery and more to customize the experience for guests. 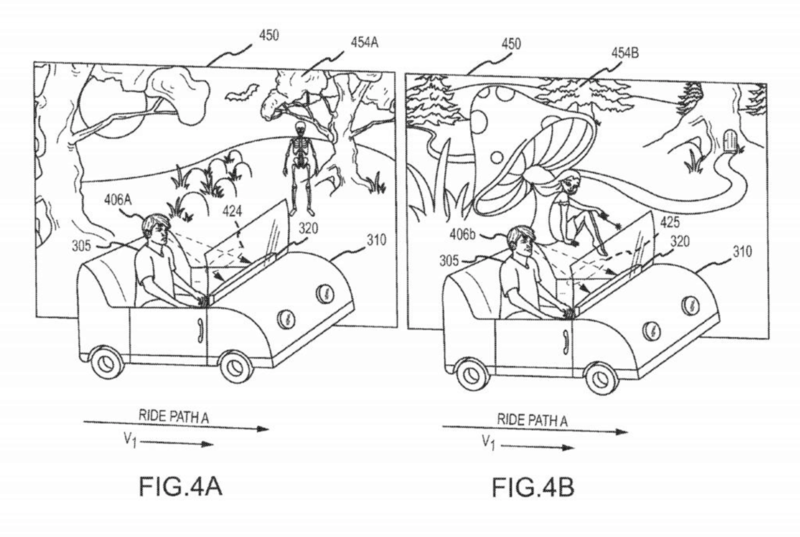 According to the patent application, the vehicles used in the rides would either utilize an on-board sensor (camera), iris scanner or biometrics to capture passenger data. Based on the user’s facial expressions, it will be able to customize the experience accordingly. Disney’s famous wearable known as MagicBand is also explained in certain embodiments which can be used to determine user’s emotions. Such enablement can also ensure that a customized user profile can also be built in which they can add preferences and customize it to the level they enjoy. Further, in case the user is feeling nauseated or having a motion sickness, then the speeds will be auto adjusted. All in all, this patent application does indicate an exciting experience in the future for its customers.